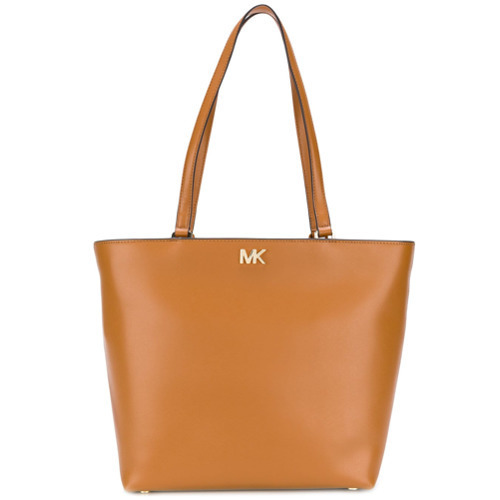 Dress in a white and blue horizontal striped peplum top and a MICHAEL Michael Kors michl michl kors mott tote, if you want to dress for comfort without looking like a slob. You could perhaps get a little creative in the footwear department and dress up your outfit with pink leather heeled sandals. 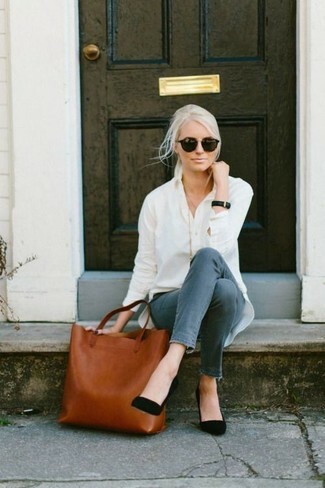 If you're all about relaxed dressing when it comes to your personal style, you'll love this cute pairing of a light blue denim shirt and a tobacco leather tote bag. Go for a pair of brown leather thong sandals to loosen things up. 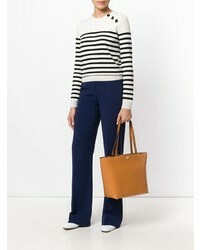 If you're obsessed with relaxed dressing when it comes to your personal style, you'll love this super cute combo of a white crew-neck t-shirt and a MICHAEL Michael Kors michl michl kors mott tote from farfetch.com. If you're obsessed with relaxed dressing when it comes to fashion, you'll love this uber cute pairing of a white blazer and a MICHAEL Michael Kors michl michl kors mott tote. Elevate your getup with beige leather pumps. We're all seeking comfort when it comes to dressing up, and this combination of a white and black polka dot blazer and a tobacco leather tote bag is a vivid example of that. To add oomph to your getup, complete with black leather wedge pumps. 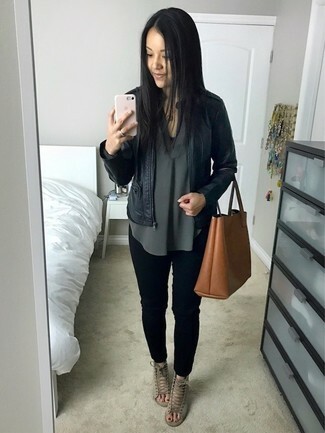 We're all seeking comfort when it comes to dressing up, and this combination of a black leather bomber jacket and a MICHAEL Michael Kors michl michl kors mott tote from farfetch.com is an amazing example of that. To add oomph to your ensemble, round off with grey suede heeled sandals. 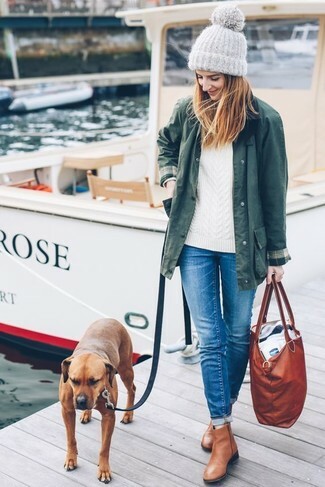 If you're obsessed with relaxed dressing when it comes to your personal style, you'll love this adorable pairing of a dark green parka and a MICHAEL Michael Kors michl michl kors mott tote. Throw in a pair of tan leather ankle boots to kick things up to the next level. If you're a fan of relaxed dressing when it comes to your personal style, you'll love this super cute pairing of a white and red and navy windbreaker and a MICHAEL Michael Kors michl michl kors mott tote. 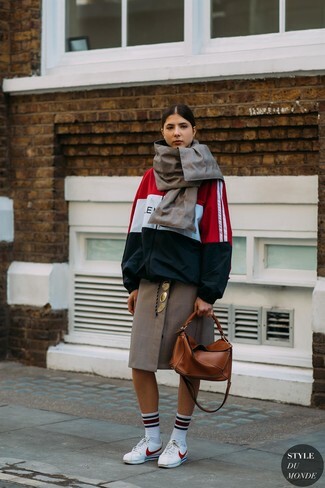 Choose a pair of white leather low top sneakers to take things up a notch. 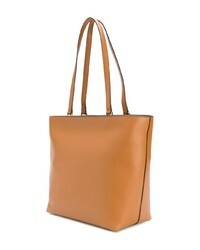 A white dress shirt and a MICHAEL Michael Kors michl michl kors mott tote from farfetch.com is a great pairing to add to your casual repertoire. 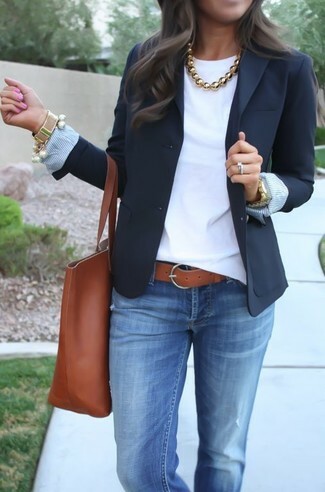 And if you want to instantly up the style of your look with one piece, add black suede pumps to the equation.